- From Atlanta take I-75 North to I-575. 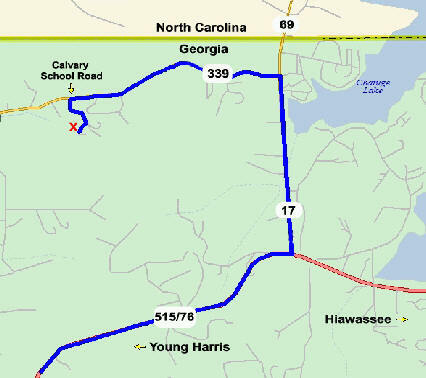 I-575 will change into Hwy 515/76. - Continue on Hwy 515/76 thru Jasper, Ellijay, Blue Ridge, Blairsville and Young Harris. - At the Hwy 17/69 stop light – turn left. Go 1 mile and turn left on Hwy 339.